Details about Movie Reel, New, Super 8, Standard 8mm Tuscan Boxed & Cased Film Reel. 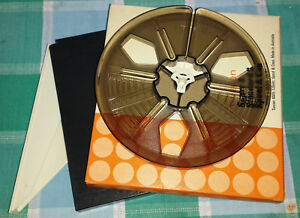 Movie Reel, New, Super 8, Standard 8mm Tuscan Boxed & Cased Film Reel. REGISTERED POST WITHIN AUSTRALIA. PAYMENT BY PAYPAL OR DIRECT BANK DEPOSIT.